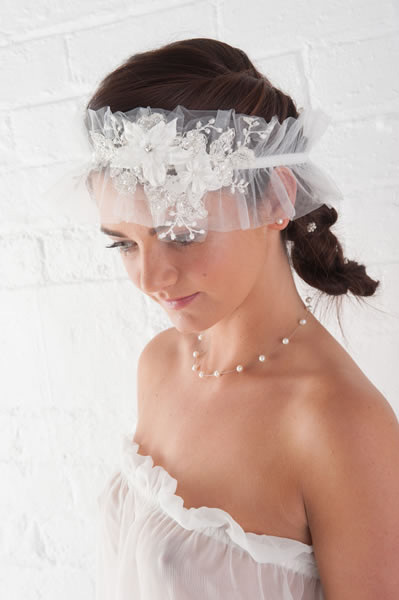 A stunning ivory head band to match your wedding lingerie collection. Handmade from super soft tulle and push backed elastic. Embellished with laser cut flower, sequins, pearls and ivory and silver embroidery.